Left Coast Rebel: Complex issues for China, North and South Korea? Complex issues for China, North and South Korea? Yes, I asked just that question. Consider this, N.Korea is armed with pre-vietnam era Soviet and Chinese military hardware. N.Korea does not so much as breathe without China's orders. China is facing a huge monetary inflation problem. This is in part due to fuel prices but mostly due to China allowing their own economy grow by a totally unsustainable 12%. In economics, when something grows in numbers or value by 12% in one year, you get what economists call a "bubble" and with China getting 75% of it's food from the USA where crop failures have been common this year plus we burn at least 10% of our corn for ethanol China cannot afford any more economic setbacks. China is already sitting on a giant economic plus a just revealed inflationary monetary disaster as it is. With Americans spending less (far less than bernanke or geithner will admit) so all those little and big trinkets that are made in China aren't selling anymore. 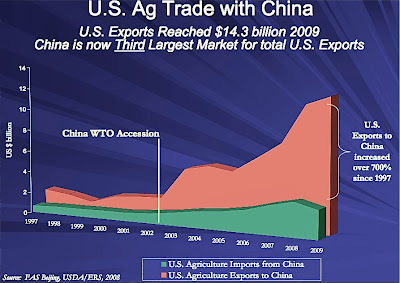 China geared their whole economy toward selling to us just as America did with Europe during the world wars. For those of you who don't know, corn directly impacts over half the world's food production and we are burning it for fuel when we have more oil than the rest of the world combined. I will explain why this matters with North Korea in a moment. Look at South Korea. S.Korea is fully modern both socially and technologically. The photos of simple electric lighting contrasting North and South say plenty. Actually, that pic gives the two different paths our nation can take. 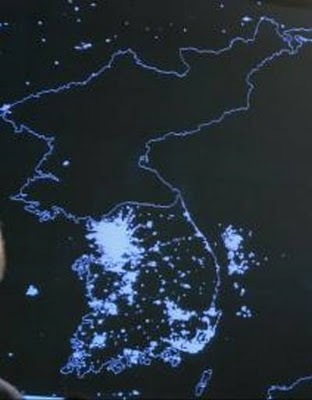 Obama and Pelosi want us to look like the area north of the 38th parallel. We give S.Korea 2nd generation (non classified) US military hardware which is reserved for our closest allies. It is rumored that either we or the S.Koreans have a decent nuclear arsenal in the area. If the Korean war reignites, history will tend to repeat itself. China and the USA will ultimately slug it out over a strip of land that few of us have ever seen and fewer of us would die for. To the left is a modern Korean MiG51 which it currently uses in it's air force. 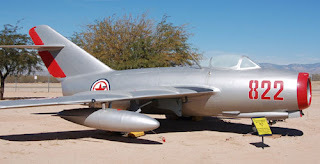 If it looks familiar, it was developed from crashedKorean war F-86s and Soviet MiG21s combined with Nazi technology borrowed from Russia. To the right is an F-86 "Sabre" retired from active military service in the US before the beginning of the Vietnam war in '62. 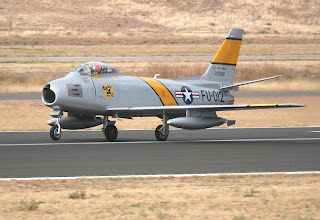 In Korea, the F-86 had a 10-1 kill ratio over Soviet and N.K. MiG 21s. So is it not obvious that N.Korea is using 60 year old technology yet? If China entered the war, the USA would be forced to immediately cut of all food to China or be declared an enemy by S.Korea since we would be supplying their enemies. This reaction by S. Korea would put 20-40,000 U.S. troops in the middle of a bloodbath. China also cannot afford for this to happen because an Army cannot fight if it does not eat. Now we simply need a Secretary of State with a big enough pair to go to China and say so. Why can't Hillary tell the Chi-Coms that food sales to China will be available only if they fix N. Korea and loosen up on human rights violations. You would have to ask Bill, but I doubt Hillary's pair is that big...or maybe she has other reasons besides feminism to wear those pantsui...No I can't say it, but I think you get the idea. What an intangled mess we have with N/S Korea. The North has to know that war now would be the end of their civilization and many in the world (other than evil brain dead leftists) know that would be a good thing and one less threat to worry about. To LCR, big thanks for the cross post. @ madmath, the problem is, a war in that area would easily escalate in to the the last world war as America would be forced to intervene (why, I don't know), and China would support their puppet state as well. Given that China is not exactly happy with us now, it is a situation we should avoid while BHO is emperor. Reason being, he is totally clueless when it comes to our military and foreign policy. Given his thin skin and lack of good judgement, I don't trust BHO to go out of his ay not to use Nuclear weapons unless necessary. In fact, knowing his ideology which is fueled by an ultimate goal of destroying western civilization, makes his Presidency downright frightening. Read BHO's books (especially his discussion on his father and grandfather and how they were tortured by the brits when Kenya went in rebellion in '52.) Having read that, BHO's actions from the stupid to the downright evil make sense.